The African Palliative Care Education Scholarship Fund for Nurses and Social Workers is NOW ACCEPTING APPLICATIONS! The scholarship application deadline is 19th April 2019. Please visit www.africanpalliativecare.org to access the applications. For more information, please contact the scholarships officer at APCA by telephone at +256 393 264978 or by email at: nurses.scholarships@africanpalliativecare.org for nurses scholarships and socialwork.scholarship@africanpalliative.org for social work scholarships. As part of our mission to expand the availability of hospice and palliative care in Africa and worldwide, Global Partners in Care and the African Palliative Care Association (APCA) provide education scholarships to further the knowledge and skill of African nurses and social workers in the provision of palliative care. The demand for specialized palliative care training in Africa is high. Nurses and social workers, in particular, play an important role in providing holistic palliative care services to those suffering from life-limiting conditions. Many African nursing and social work courses don’t include training that exposes students to palliative care. 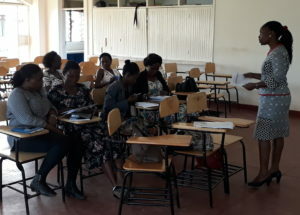 Formal training in palliative care is greatly needed to provide nurses and social workers with palliative care skills to handle patients with life threatening illnesses such as HIV/AIDS and cancer. In 2011, the African Palliative Care Association (APCA), in partnership with Global Partners in Care (GPIC), established the African Palliative Care Education Scholarship Fund for Nurses and Social Workers. Each year, APCA and GPIC provide a limited number of scholarships for palliative care training opportunities. The fund was originally established in 2011 by generous donations from the National Association of Social Workers in honor of Dr. Bernice Catherine Harper and from an anonymous donor in honor of the palliative care service of Katherine Defilippi, a nurse from South Africa. To donate to the African Palliative Care Education Scholarship Fund, click here.